Checking the menu online before we went, I found only one low-sodium entrée option, which was disappointing to me. But when we arrived and I asked the waitress about low-sodium options, she said the restaurant has a low-sodium menu! This was the first I’ve encountered. 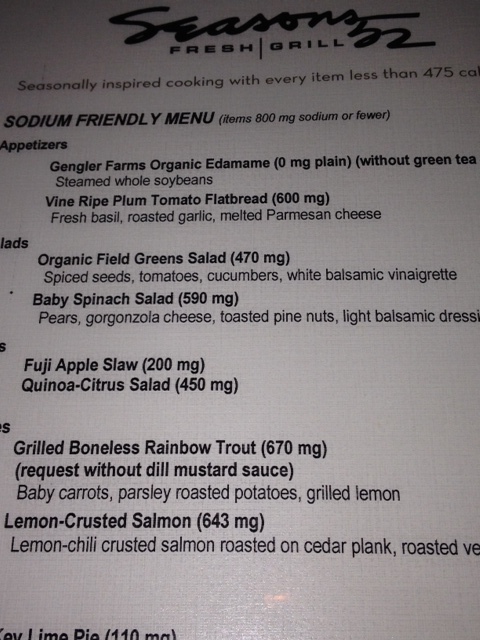 Bravo Seasons 52, I can only hope and pray others follow your lead on this and develop low-sodium menus of their own. Each item on the menu lists its sodium content. 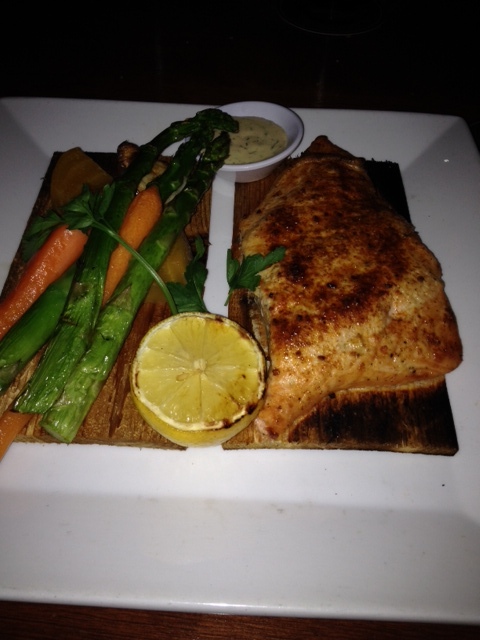 I had a salmon served on a cider plank which was wonderful. Tasty carrots and asparagus served as a healthy side dish. 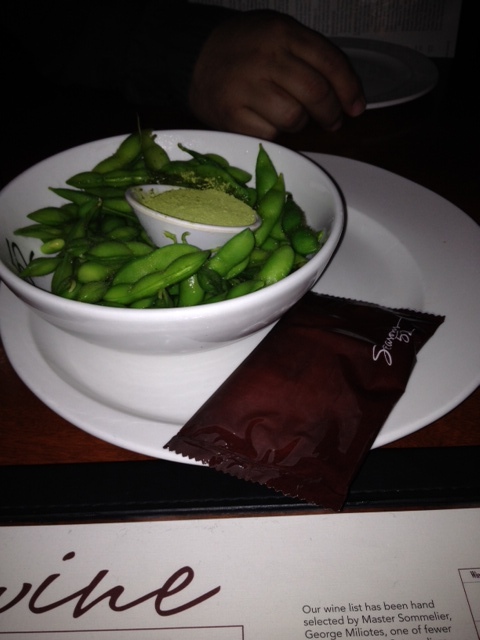 We also had an edamame appetizer without salt added which was wonderful as well. A tasty edamame appetizer at Seasons 52. My Seasons 52 salmon with asparagus and carrots, a great low-sodium dish. Desserts here are served in what look like shot glasses and so several are relatively low in fat and sugar. I had a chocolate one that was delicious. Kudos for the low-sodium menu, keep working to make these items even lower in sodium. My entrée has 643 mgs of sodium, according to the low-sodium menu. That’s half my daily requirement. Getting it to 400 would fit within my definition of what truly constitutes a low-sodium dish.